Ripple Effects' newly released School and Teacher Editions of Bouncy’s You Can Learn are engaging, science based, social-emotional learning programs designed to develop in early learners positive mindsets needed to persevere and succeed in school. “Research has shown that waiting until second grade to develop a student’s sense of self-efficacy about learning increases risk of school failure,” says Alice Ray, CEO of Ripple Effects. The 400,000 kids who have access to Ripple Effects digital self-help programs through their schools will no longer have to wait until 2nd grade to access the popular motivational counseling and behavioral training programs. Ripple Effects, a multi-award winning leader in digital education to address non-academic factors in school success, focuses on building a sense of agency in all students, especially those who face adversity. The release of two new apps: Bouncy’s You Can Learn School Edition and Bouncy’s You Can Learn: Teacher Edition now make the evidence-based learning system available to early learners and their educators. “Research has shown that waiting until second grade to develop a student’s sense of self-efficacy about learning increases risk of school failure,” says Alice Ray, CEO of Ripple Effects, who designed the new program. Ripple Effects’ Whole Spectrum Intervention System is listed on the National Registry of Evidence-Based Programs and Practices (NREPP). Specifically designed for educators, Bouncy’s You Can Learn school and teacher editions are comprehensive learning programs that develop a sense of agency about learning in the most challenged four to six-year-olds. 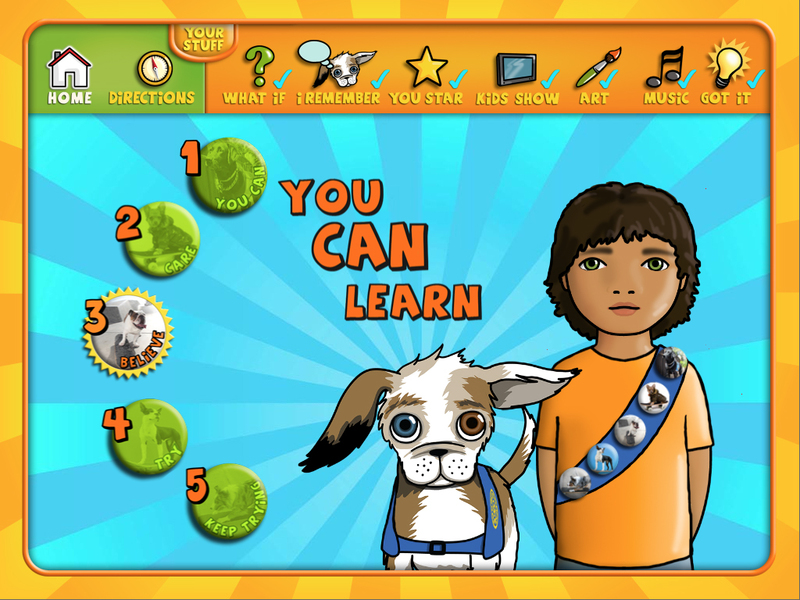 The avatar-based apps use art, music, videos, games and animated adventures to motivate young students to care about learning, believe they can learn, understand learning takes effort, and deepen their commitment to persevere through setbacks – a constellation of attitudes increasingly referred to as academic mindsets. 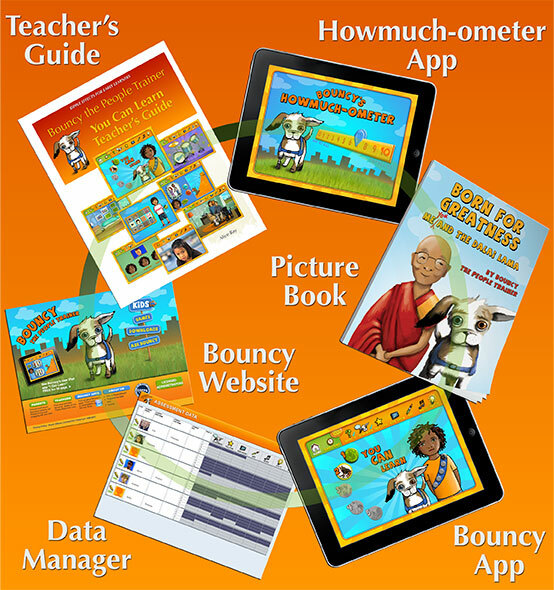 Bouncy’s You Can Learn school and teacher editions include extensive teacher resources, the student app, multilingual guidance for families, eBook, classroom extension activities, “Howmuch-ometer” for young students to register their own mindsets, and easy to use data management tools. See the short video and learn more here http://bouncykids.net/schools/.